Rail transport in Vijayawada is managed by the South Central Railway (one of the 17 railway divisions in India). It is important to note that Vijayawada has the second largest railway junction in the country. 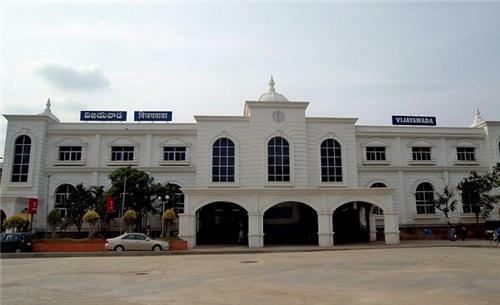 Vijayawada junction railway station (Station Code: BZA) feature twenty two tracks and ten platforms and is considered as one among the busiest railway stations of India. Vijayawada feature excellent train connectivity to many cities and towns and as a matter of fact more than two fifty express and one fifty cargo trains are starting from or passing through the Vijayawada junction railway station. Find below the list of important trains starting from or passing through Vijayawada along with fare details and more.